Taylor’s has been a part of the community for over 49 years now. We got our start back in 1965 as a Western Auto owned by Jack Taylor. When he was elected sheriff in 1967, his brother Aaron and his wife Loretta bought him out. About 15 years later, Aaron bought the site of the current store which was completed in 1984. The Taylor’s daughter, Kim, and her husband Ken Fish have been running the store since around 1989, but Mr. Aaron still comes in to work at age 84. We believe in giving back and supporting the community that supports us, from sponsoring baseball and football teams to donating to the St. George Island Volunteer Fire Department Chili Cook-off and the Eastpoint Volunteer Fire Department Rib Cook-off as well as awarding an annual scholarship to a Franklin County High School student. 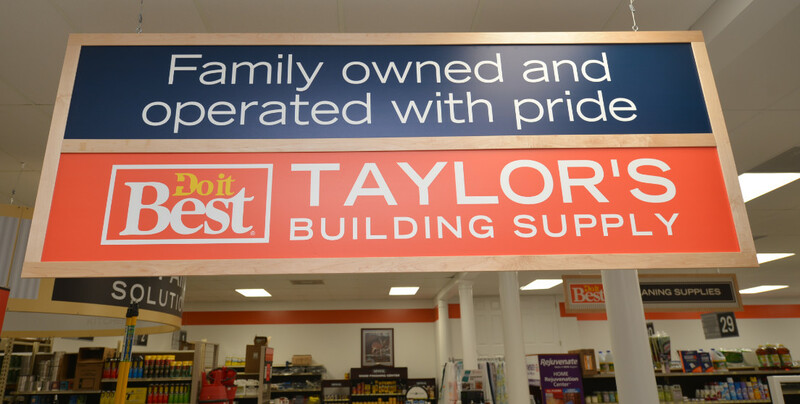 We strive to be the best here at Taylor’s Do it Best® Building Supply. In 1999 we were recognized for our hard work when we were awarded the Southeast Region Retail Hardware Dealer of the Year by the National Retail Hardware Association. We look forward to providing exceptional products and superior service to the area for many years to come.